This year we are running our very own footy tipping competition for AFL & NRL fans to get involved and win their sharein $5000! As well as some seriously great prizes along the way. This week wraps up Round 3 of NRL, a round of great comebacks, majority hometown wins and some cringeworthy injuries on the field. Thursday March 17 saw the NQ Cowboys absolutely dominate Sydney Roosters at Townsville’s 1300 Smiles Stadium. With the final score sitting at 40-0, Cowboys had their fight ready from the very beginning scoring two tries early on in the match. Friday was time for the Canterbury Bankstown Bulldogs to put up a fight against the Parramatta Eels at Sydney’s ANZ Stadium. This week the Eels managed to slither their way to a win with the final scores being 20-6. Saturday March 19 was big day with three games on show, we started at Hunter Stadium in Newcastle with hometown heroes Newcastle Knights going head to head with the Canberra Raiders. The match ended in a frustrating tie, with extra time unable to separate the two teams, despite a number of field goal attempts. Second on the menu for Saturday night was an absolute nailbiter between the Penrith Panthers and Brisbane Broncos at Pepper Stadium. 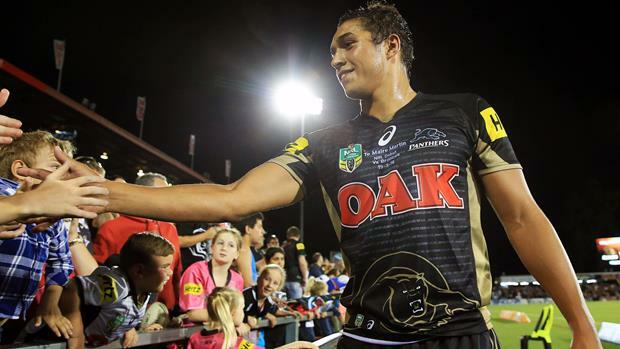 Despite Broncos being the favourite to win, homeboys the Panthers had the last laugh with Te Maire Martin scoring a try and kicking a field goal on debut – this was their first win for the season, and what a way to get it with final scores 23-22! the night finished off with the Gold Coast Titans taking on the Wests Tigers at Cbus Super Stadium. Although the Tigers raced to a 10-point lead in the beginning, it was the Titans who took it out in the end, with final scores sitting at 30-18. Sunday footy had New Zealand Warriors taking on the Mighty Melbourne Storm at NZ’s Mt Smart Stadium. With a final score of 21-14, Melbourne Storm are now sitting nicely on top of the ladder! A waterlogged SCG had St George Illawara Dragons taking on the South Sydney Rabbitohs late Sunday arvo. A low scoring match saw the Dragons win 8-6, this is also the match where Sam Burgess fell awkwardly after a tackle and was stretchered off the field, reports have since come back saying the injury is not as bad as first feared. Finally, Monday night football closed with the Manly Warringah Sea Eagles taking out a win against Cronulla Sharks, 22-12 at Manly’s Brookvale Oval. Round four kicks off this Good Friday, with the Rabbitohs and the Bulldogs going head to head at ANZ Stadium, Bulldogs are the favourites, but can the Rabbitohs hop into first place? We’ll see. This week also sees the AFL season officially kick off, with the traditional opener of Richmond Tigers vs Carlton Blues this Thursday night at the MCG. 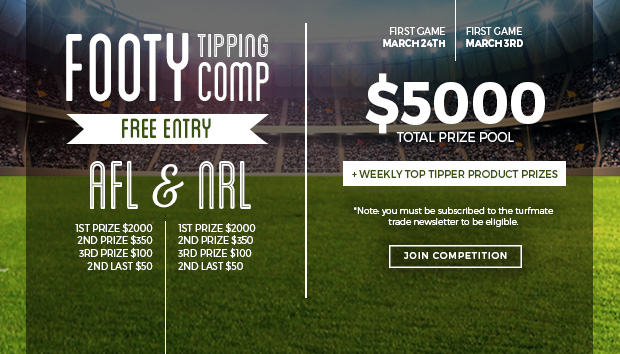 It’s not too late to join in the footy tipping for AFL for your chance to win a cut of $5000 in prize money, as well as weekly prizes for top tippers!